Having a large breed dog is all fun and games until it comes to getting her toys. 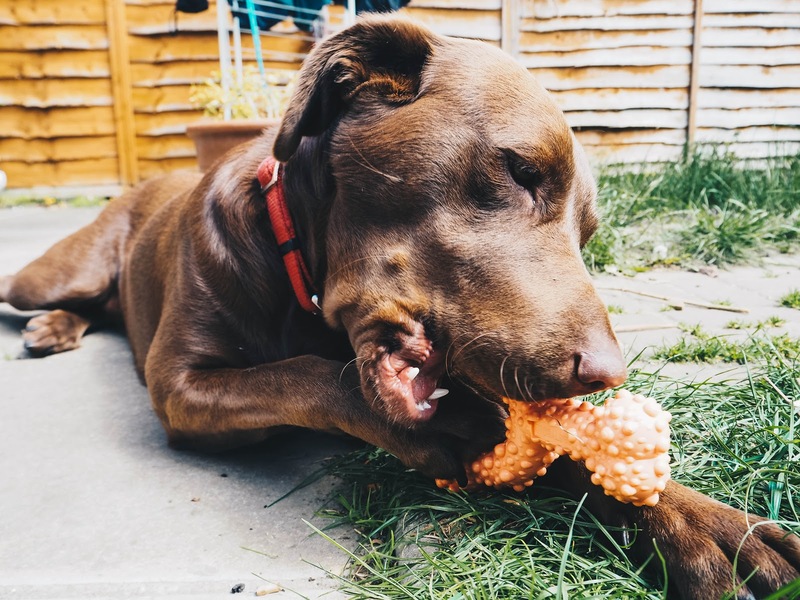 She has very sharp teeth and a big mouth, so toys have to be large and durable if they are going to last longer than five minutes. I have completely given up buying them from the supermarket, as she bites straight through them and they end up in the bin by the time I've unpacked all of the shopping! 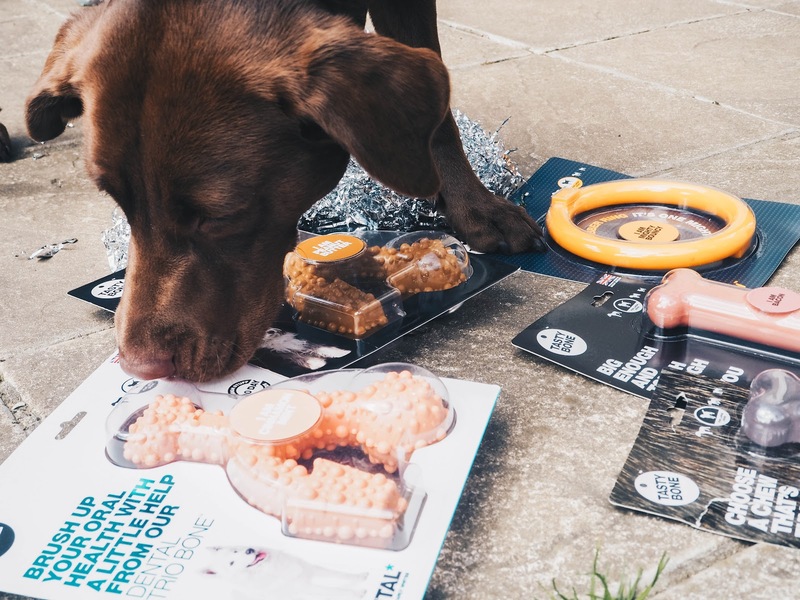 When TastyBone got in touch to ask whether Elsie would be interested in trying some of their products, I couldn't help but see the word 'durable' being used a lot in their initial email. 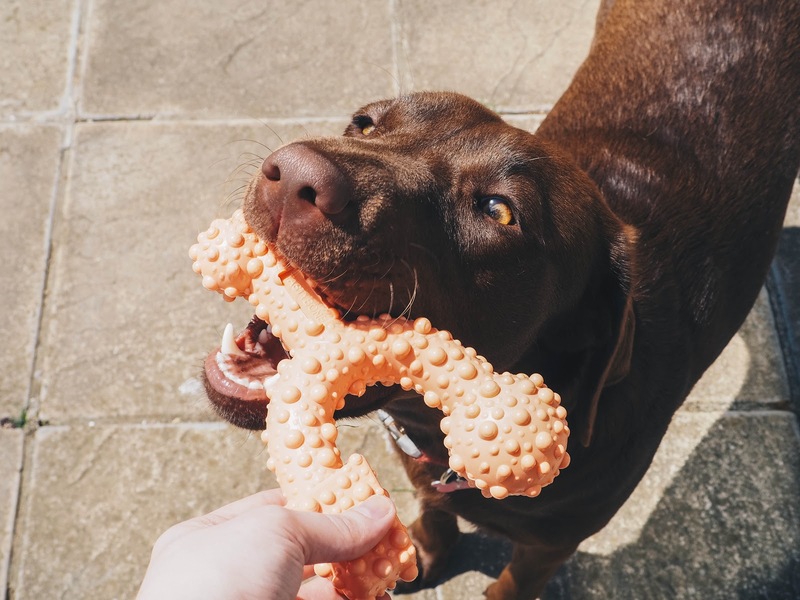 I was a little hesitant as I was certain that Elsie would remain undefeated, but I was told that they are fantastic toys for breeds like Labradors and German Shepherds; so they should work perfectly for her. Elsie decided to chill out whilst I got everything ready to show her what she had been kindly sent from TastyBone. Inside the box was lots of silver tinsel, which I placed on the floor so I could get the products out of the box. However, I think Elsie thought this was a toy in itself! Until she saw a dove pigeon land in her garden and she made sure that it wouldn't come anywhere near her new toys OR her silver tinsel! Apparently, Mummy took too long setting everything up, so Elsie decided to have a nap on the pillow of silver tinsel. UNTIL... I said come on Elsie, choose a toy! TastyBone sent a variety of different flavoured Nylon chew bones; including bacon and chicken (£8.84 each). They also included two Dental Trio Bones (£17.98 each); one in peanut butter flavour and another in cinnamon. I have to admit that as a human, I was incredibly excited about the peanut butter one! Finally, they included a Mighty Bounce Ring, which is a rubber ring that bounces and floats in water. We are yet to try this one out as Elsie wants to save it for a trip to the forest when she swims in the lakes! 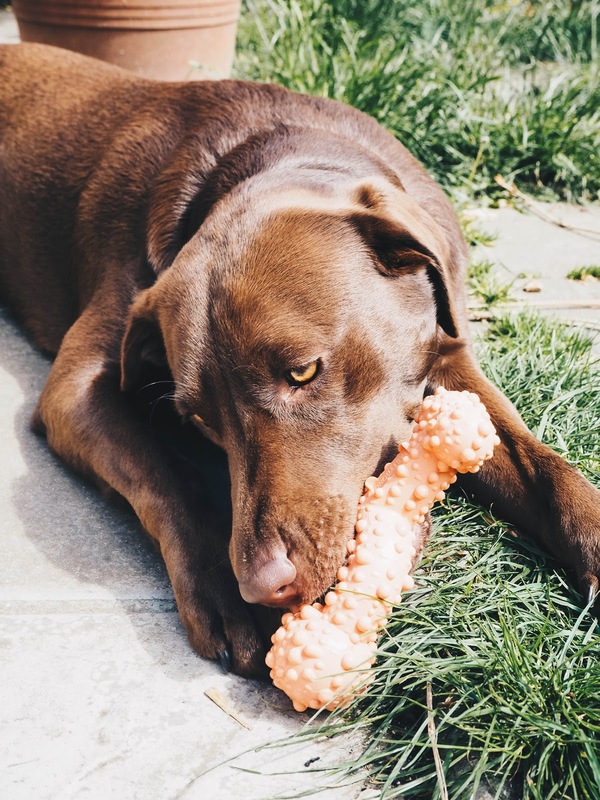 Elsie chooses the cinnamon Dental Trio Bone! Time to open it and see if she likes it and if it lasts! It's as if she knew she had to smile for a photo in order to get her new toy. It didn't take her too long before she got bored of posing and just wanted to play! Elsie took her new toy and ran off with it straight away to see what it was all about. 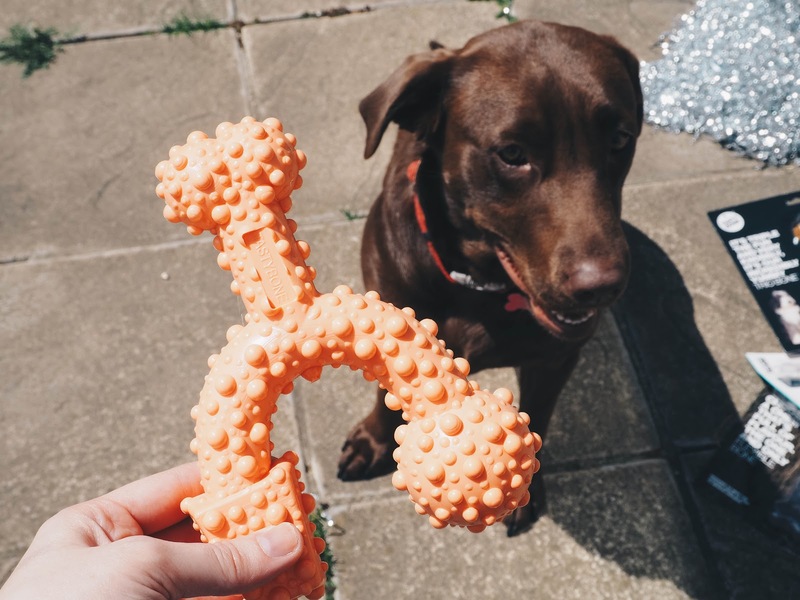 We are a week into her playing with this toy and a Chicken flavoured bone toy and I think they are her new favourite toys as she hasn't left them alone! She has been non stop chewing them and although she has made a bit of damage to the Nylon bones, she hasn't made a dent in the Dental Trio Bones (yet!). I am very pleased about this as I am sure the nobbly bits on the toy are doing wonders for her teeth. As she hates having her teeth brushed, dental products are vital for Elsie. Although, she ALWAYS gets compliments on her Hollywood smile! I am very pleased to see that these products have lasted longer than I could have ever anticipated. Even if they do need replacing after a few months, anything is better than having to buy toys every week! 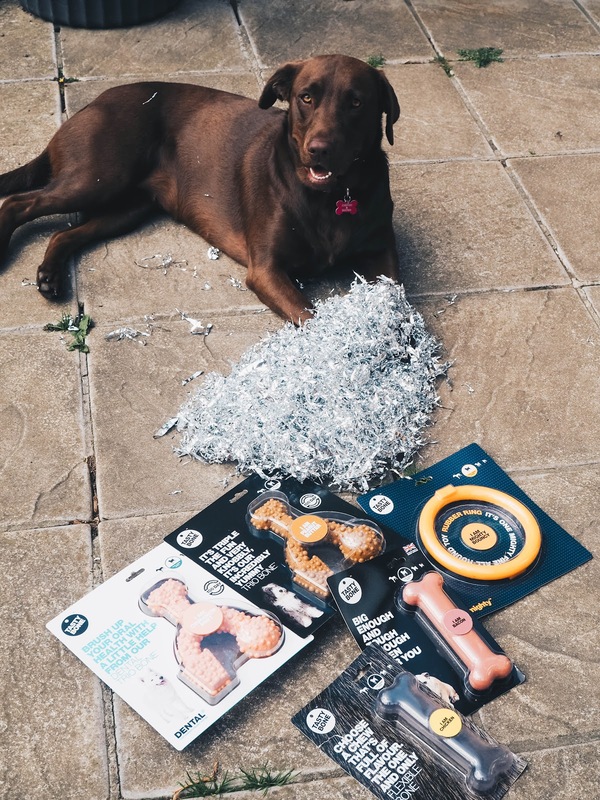 Elsie loves them and I fully recommend them to any dog owners that know the struggle of wasting money on toys that end up being ripped into bits within minutes! 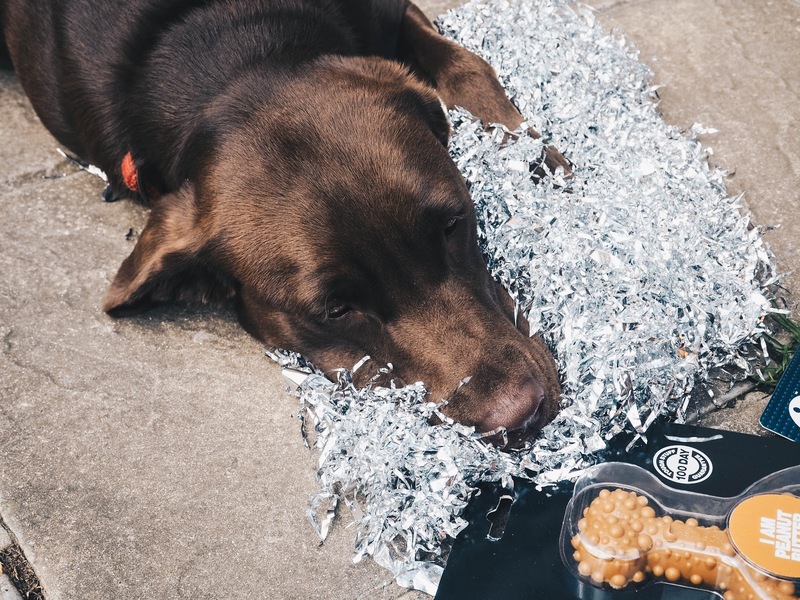 TastyBone products are available for purchase from their Amazon shop. What a gorgeous dog! Looks like she really enjoyed the new chew! 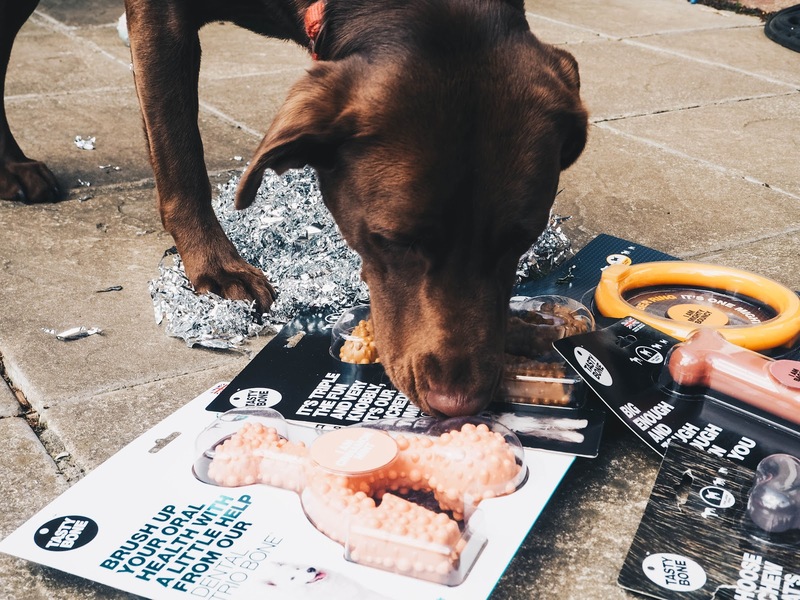 Aww what a gorgeous dog you have such a cute and it looks like the toys are perfect for fun and helping the gums. aww she is gorgeous and it looks like she had a lovely time reviewing! Oh how cute are those pictures. It looks like she is pretty impressed with those! 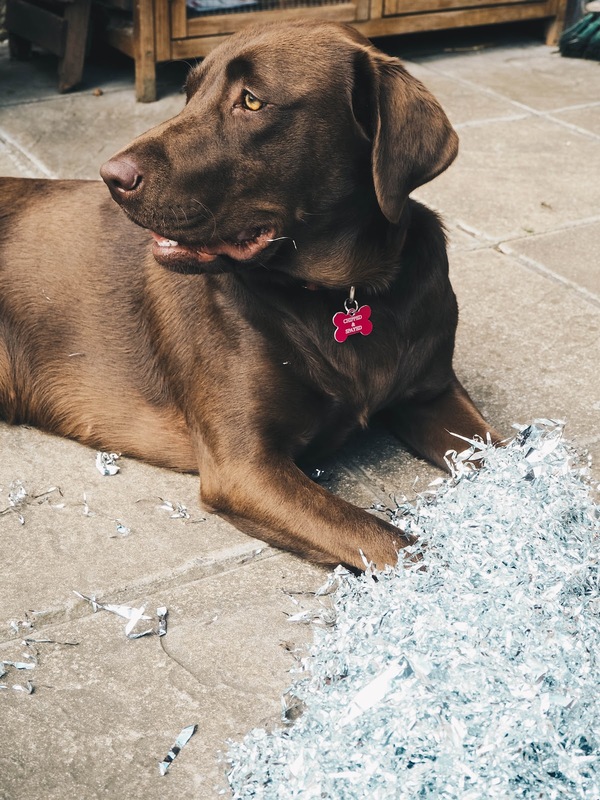 Elsie is such a gorgeous dog - her coat is ultra shiny! She looks rather chuffed with her chicken flavoured toy! 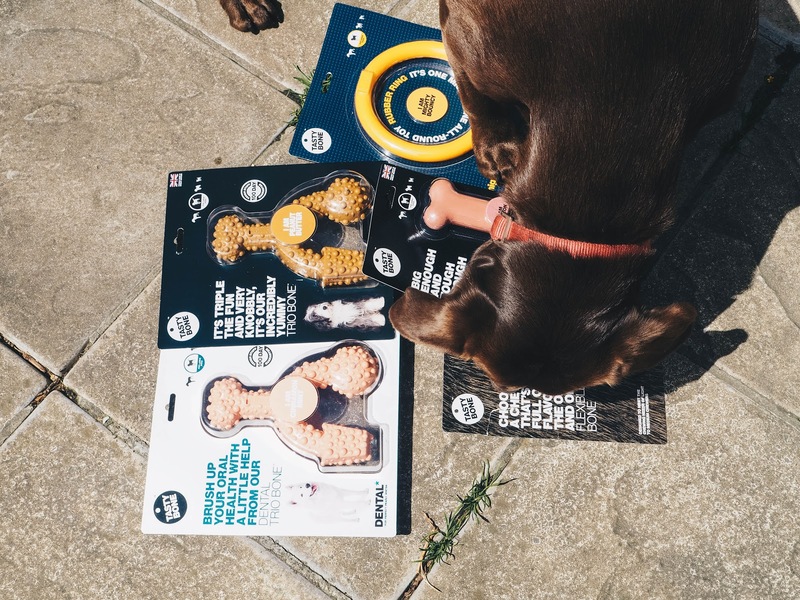 Your dog looks so lovely and it looks like he is really enjoying those doggy toys. I tend to find that many companies throw the word "durable" around when it couldn't be further from the truth. Elsie looks very happy with her toys! Elsie looks thoroughly pleased! I know how hard it can be to find toys for bigger dogs - glad the toys worked out for both of you. Elsie is so lovely! Glad she got some treats to review. 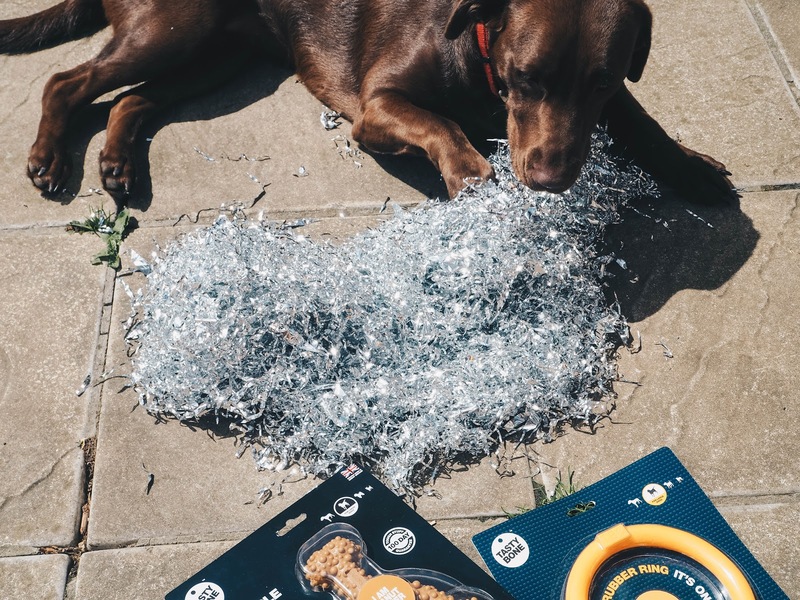 I'd never thought that bigger dogs would destry toys quickly but of course they do! I'm glad these have lasted longer for you! 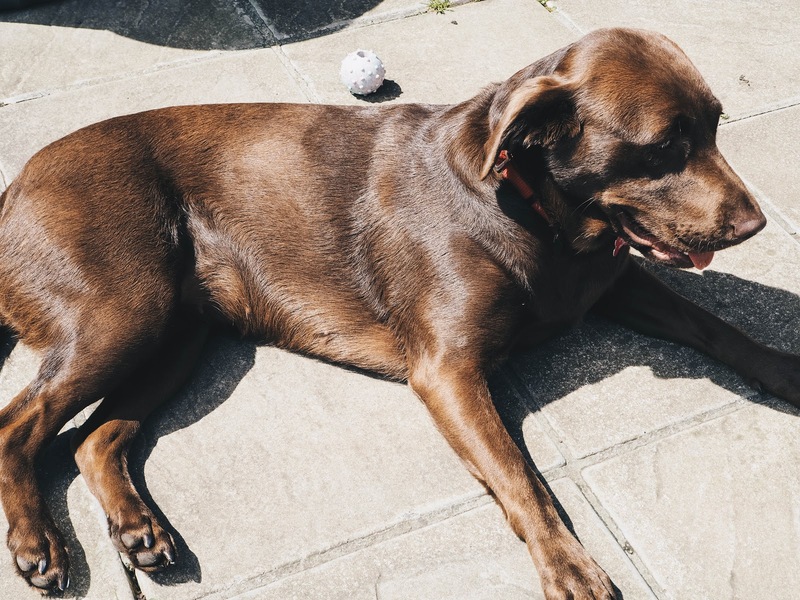 I'm getting a dog in the next few weeks, so this is super helpful for me - thank you!